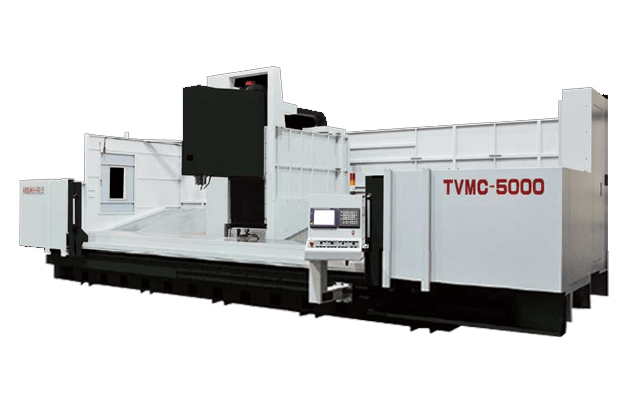 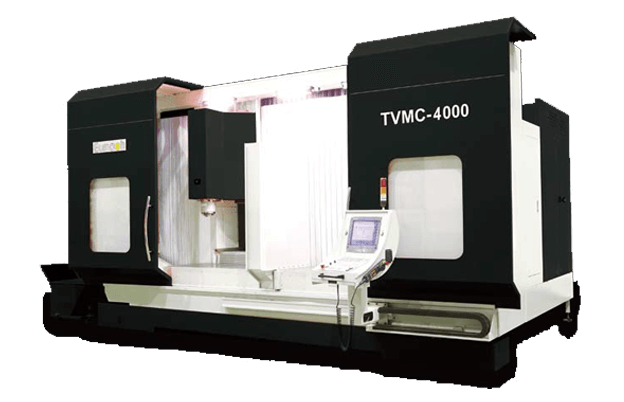 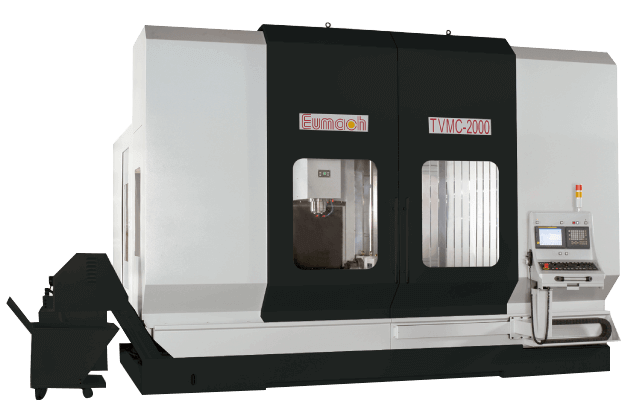 TVMC 2000 / Traveling Column Machining Center - Eumach Co., Ltd.
3 to 4 axis travelling column + fixed table design provide greater dynamic rigidity, productivity, flexibility and higher precision. 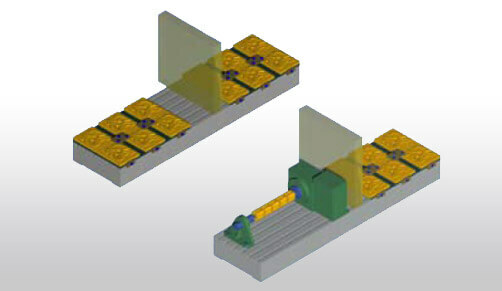 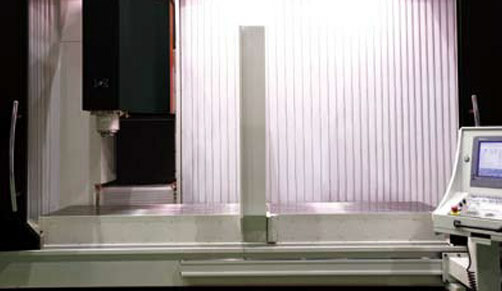 The column feed concept is innerently more rigid and accurate because the table and fixturings remain stationary while the column travels above the workpiece in a double box - Y over X plane, regardless the workpiece's configuration, even over-sized or off-centre workpieces, the load on the guide ways, ballscrews and motors are remain unchanged. 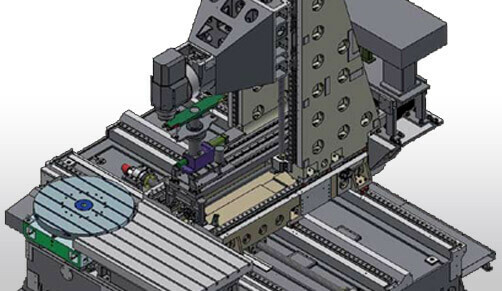 Totally being analysized by the most advanced CAD and FEM. 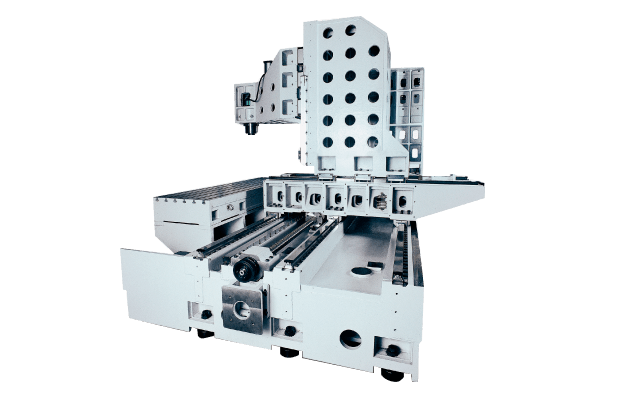 Extreme rigid construction with heavy internal bracing to maximize machine rigidity. 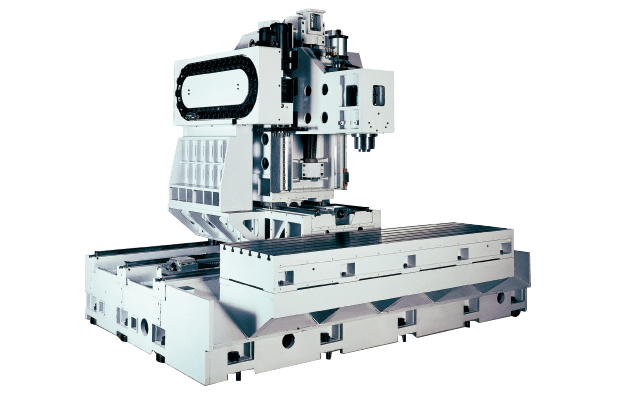 Heavy frame with torsional stiffness innovative design supports heavy cutting to produce better surface finishs and provides long term precision for accuracy. 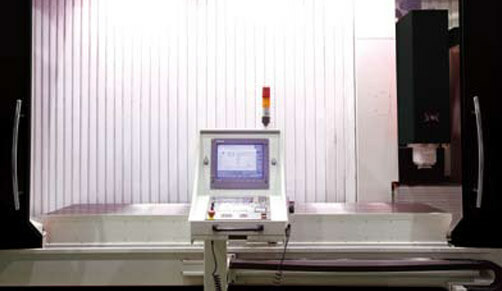 Loading & Unloading on one division while machine is machining on other division. 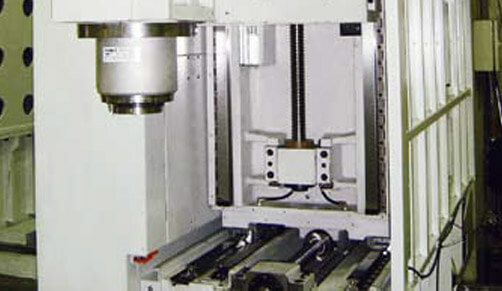 For many identical parts production. 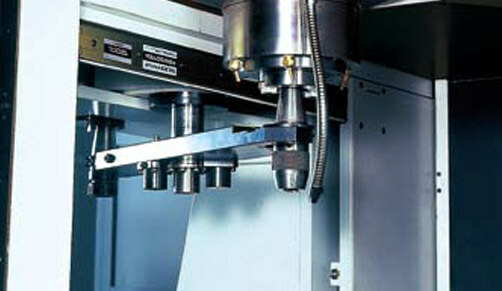 For different operation on each division. 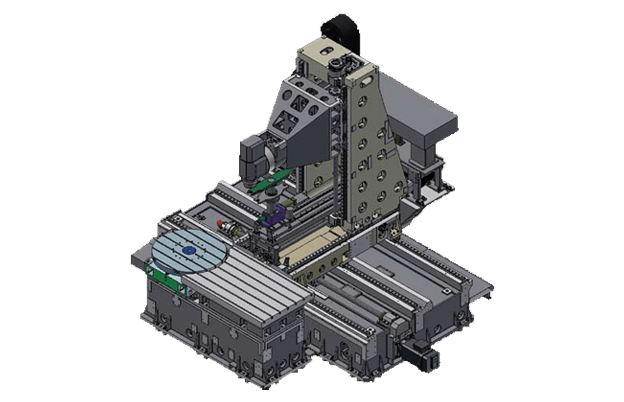 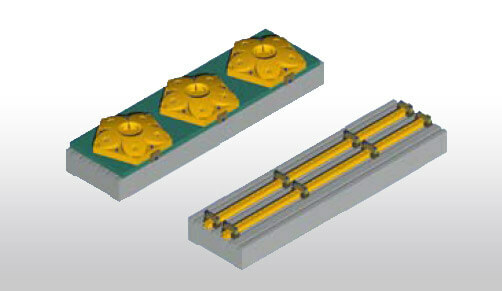 For multiple identical parts production. 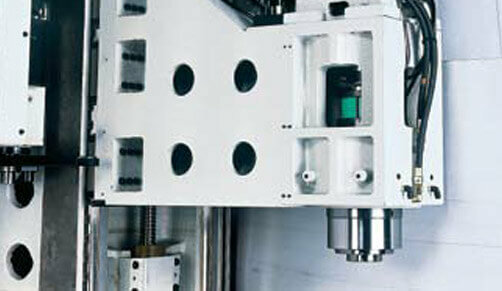 For large or long parts production. 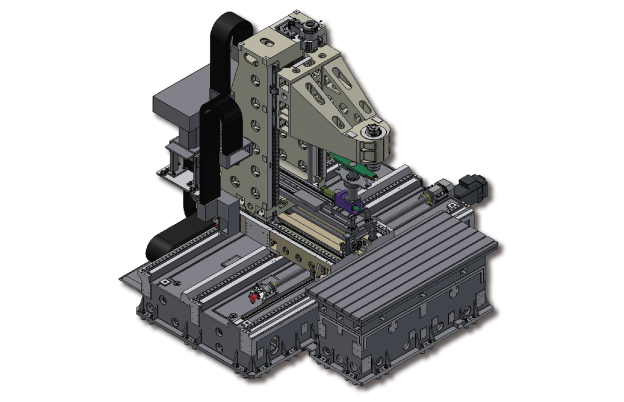 With above twin-table concept, it is possible to save up to 100% of the machining time if compares with conventional machining center, also without the need for additional investment in complicated & troublesome automatic pallet changer system.